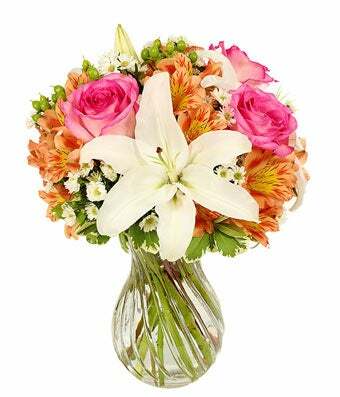 White lilies and hot pink roses set the beautiful tone for this arrangement. It's bold yet subtle, which makes for the perfect gift for a birthday, special occasion or just because. Approximate Arrangement Height 15", Length 12"